Open: Year Round... 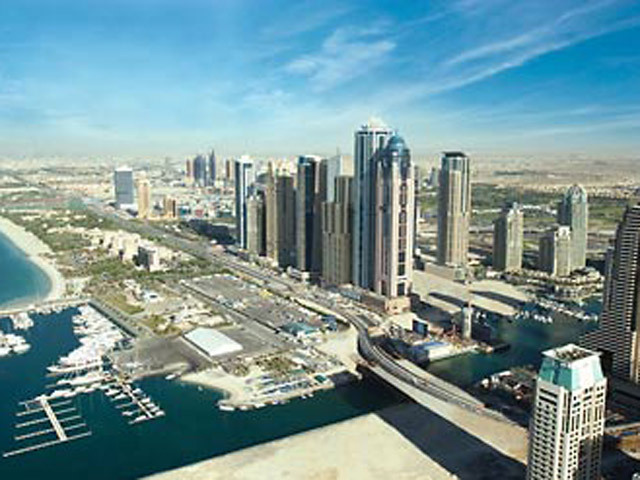 The Dubai Marriott Harbour Hotel & Suites has an ideal location overlooking both the Dubai Palm and Dubai Marina. Open All Year... Just a few minutes from the Dubai international airport, in Al Makhtoum Street, Deira. 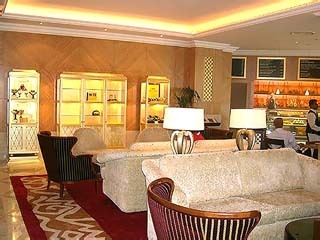 Emirates Concorde provides a central location, close to the traditional market of the city. Open All Year... 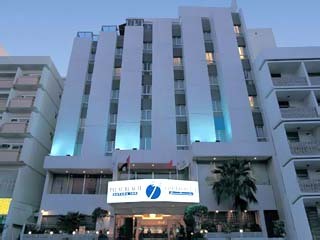 The Golden Tulip Aeroplane Hotel, Dubai is in Burj Nahar sector. 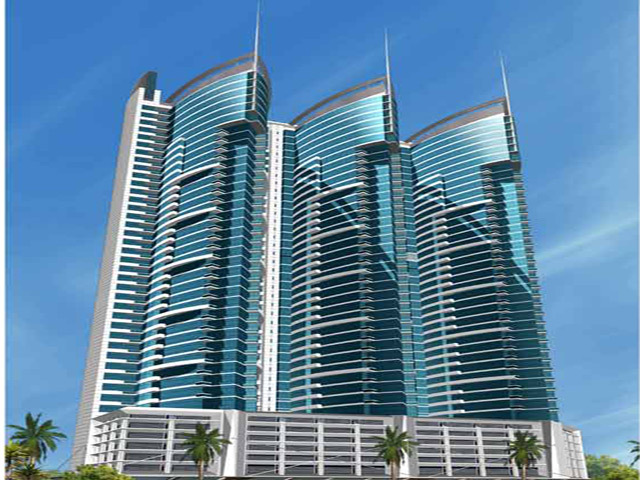 It is about 15 minutes drive to the Dubai World Trade Centre. Open All Year... 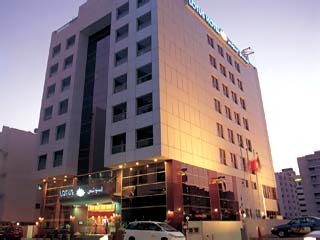 The Hallmark Hotel Dubai is on Al Rigga Street, a major business and entertainment area. 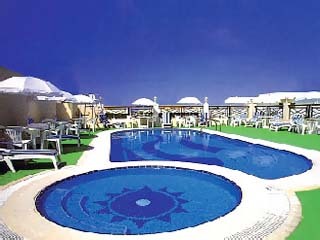 It is nearby the Al Ghurair City Shopping Mall. Open All Year... Located at the nerve centre of Dubai's busiest corporate district - Nasser Square, Landmark Hotel is a mere 10 minutes drive from both the airport and the World Trade Centre. Open All Year... Situated in the heart of Downtown Deira, opposite Al Ghurair Shopping Complex, the Lotus Hotel is just 4 kms from the Dubai International Airport. Open: Year Round...Located opposite Sharaf DG Metro Station the hotel is and minutes from the world famous Mall of the Emirates and Ski Dubai, and offers easy access to Jumeirah Beach, Souk Madinat, Dubai Mall, Burj Khalifa, World Trade Centre and the Marina Promonade. 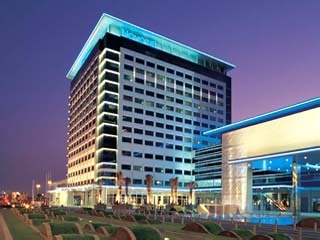 Open All Year... Novotel World Trade Center Hotel is part of the Dubai International Exhibition & Convention Centre Complex in the heart of Dubai’s commercial district, close to the Sheikh Zayed Road. 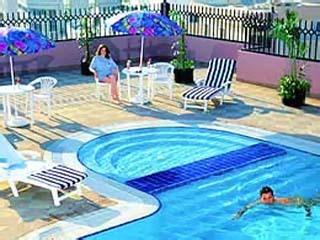 Open All Year... Palm Beach Rotana Inn enjoys a perfect location in the heart of Dubai 's commercial district. It is close to popular shopping and tourist attractions, Dubai International Airport , World Trade Centre, and Exhibition Grounds. Open All Year... 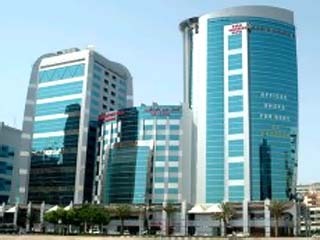 The Ramada Dubai is centrally located in the heart of Dubai's downtown commercial & financial district, close to World Trade Center and many sightseeing attractions.